Subspecialty: Cardiovascular surgery, open heart surgery, coronary artery bypass surgery, coronary artery bypass grafting (CABG), angioplasty, heart valve repair and replacement, mitral valve replacement, aortic valve surgery, arrhythmia surgery, balloon septostomy, atrial septostomy, congenital heart surgery, heart transplant, ventricular reduction, cardiotomy, Fontan procedure, Ross procedure. Dr Molavipour is a cardiologist and cardiac surgeon based in Mashhad, Iran. He was graduated from Kerman University of Medical Sciences in general medicine in 1990. He then continued his education at the same university and received his PhDin general surgery in 1994. 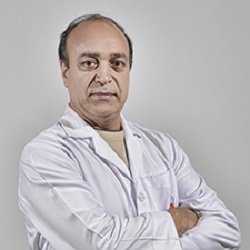 After working for six years as a general surgeon, DrMolavipour pursued his studies in cardiac surgery at Tabriz University of Medical Sciences and received his degree in 2003.